III – How can you decide/understand which specific data takes how much space exactly on Qnap? IV – How Can I Delete Folder On Qnap? My Folders Seems Grayed Out! 2 – Restart Qnap. After Qnap starts, your system should be back and reachable from Qnapfinder. Login Qnap. 3 – Go ->Netowork Recycle Bin and delete all files. If its empty, go ant other folder and delete some files. Be sure deleted files are not stuck in Network Recycle. 4 – Plug ethernet cable back to your Newtork switch again. 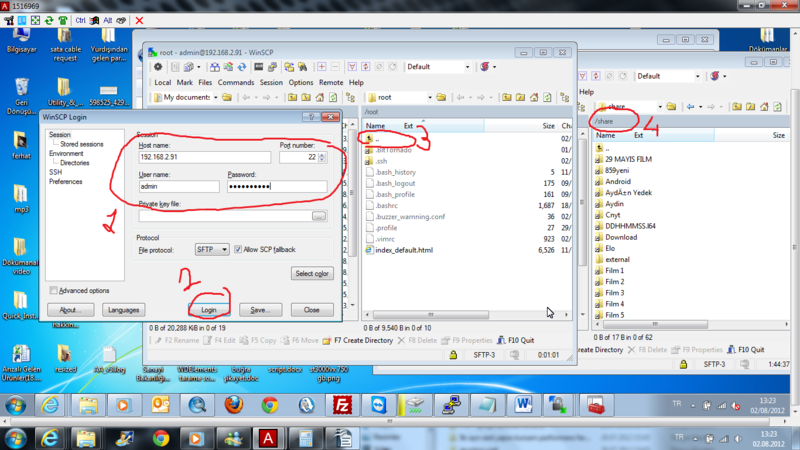 Alernativly, you can download winscp software and login to Qnap. All of your folders should be under “Share” folder. Just delete some files and restart Qnap. This should fix problem. Note : You should isolate from your network because your clients or a Backup program trys to uplad file to Qnap, which makes Qnap unreachable again. If you still have problem, please contact to Qnap support Team. 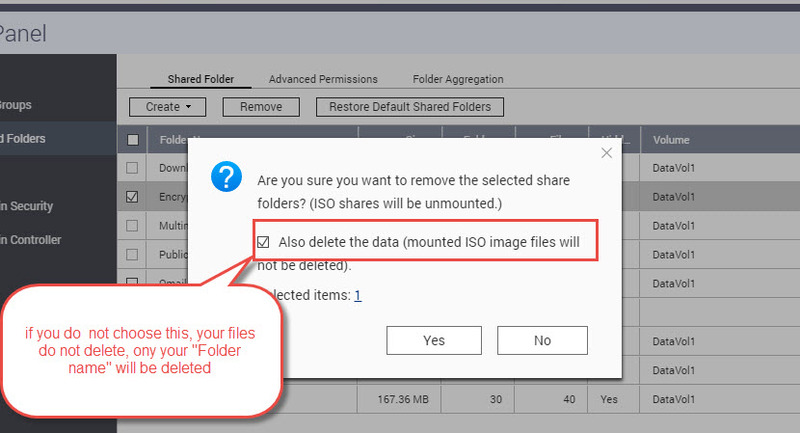 If you didnt choose “Also delete the data in the folder(s)” while deleting a folder, that folder and files stant still in Qnap and take space on Qnap Free Space. 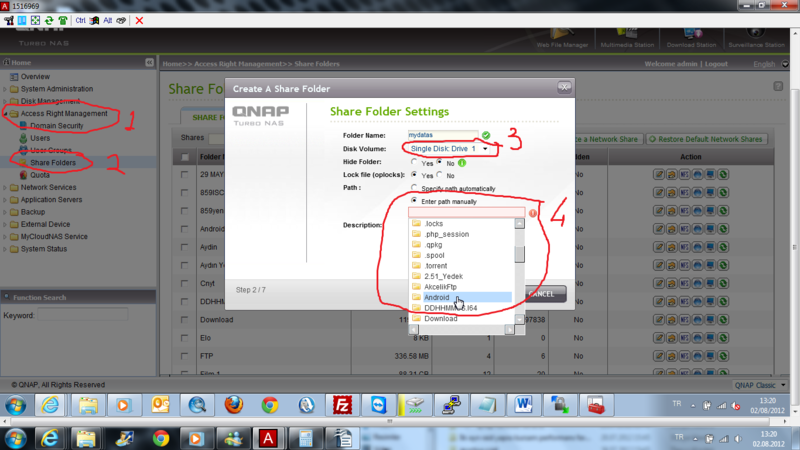 To fix this problem (I mean really delete that folder) Just login Qnap and go to Access Right Managment -> Share Folders -> New Share Folder. Alternativly, Download wincsp program, install it with “commander” interface, and login to Qnap. All of your share folder should be under “Share” folder. Qnap Folders Grayed Out, Why? I can’t believe this problem still exists after all these years. It’s such a simple problem with such awful consequences. The instructions in this article aren’t likely to help much. Deleting a share full of data isn’t likely to be an option for most people. And the instructions for using WinSCP and deleting data manually don’t work – just like the web-based File Manager, it just locks up. The official advice from QNAP is to remove the hard drives from the NAS, then boot up, find the NAS on it’s new IP and run commands to connect in to delete some files. This is ridiculous, complex, dangerous, and can’t be done if you’re working remotely. Get your act together QNAP. It wouldn’t take much to put a sanity check in that stops writing to the shares when there’s, say, 300MB of space left. If you did that users would see the problem, but presumably we’d be able to connect in to File Manager and actually fix it without all the timeouts or pulling out hard drives. Nope; just reebot device and isolete your NAS from your network (because a backup software may try to uplad some files and may lock you Qnap again), delete some files and go on… no need to type any commands to fix this.